16. Boscoreale. Villa Pompeiani di Publio Fannio Sinistore. 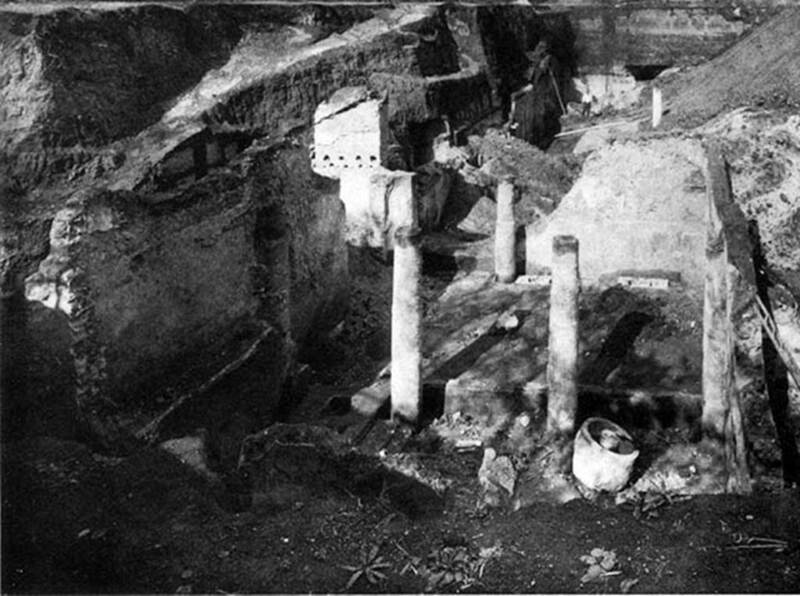 Villa of Publius Fannius Synistor. In later times the Villa of L. Herius Florus or Lucius Herennius Florus. Villa of P. Fannius Synistor at Boscoreale. 1900. Graffito from room 20, apodyterium. On the back wall to the left of the entrance into the frigidarium was seen graffitti above the stucco. It was in two lines, with an addition between the first and the second line. Some words at the beginning of the first and third lines could be read by prof. A. Sogliano. Publi, rogo frustra, noli tibi……..
Also found in the room 20 was a great bronze candelabra, with feet shaped as a bovine hoof. There were also various chicken skeletons. According to Barnabei, the discovery of the skeletons of chickens here was not surprising. It was easy to imagine the animals fleeing in all directions due to their instinct to escape death during the tremendous catastrophe. See Barnabei F., 1901. La villa pompeiana di P. Fannio Sinistore. Roma: Accademia dei Lincei. p.17, Fig. 2. Villa of P. Fannius Synistor at Boscoreale. Room 24, work area during reburial in Mid September 1900. According to Barnabei, the whole building was the owner’s house, except a portion (room 24) to the left of the entrance, which was used for the business. A press for the grapes was discovered here, as well as a pitcher for the must. An olive press (trapetum), a wine press (torcularium) and farming tools were found here. There were also some bronze vessels, one of which had a handle of a figurine representing Bacchus, clad in silver leaf. See Barnabei F., 1901. La villa pompeiana di P. Fannio Sinistore. Roma: Accademia dei Lincei. Tav. XI. Villa of P. Fannius Synistor at Boscoreale. 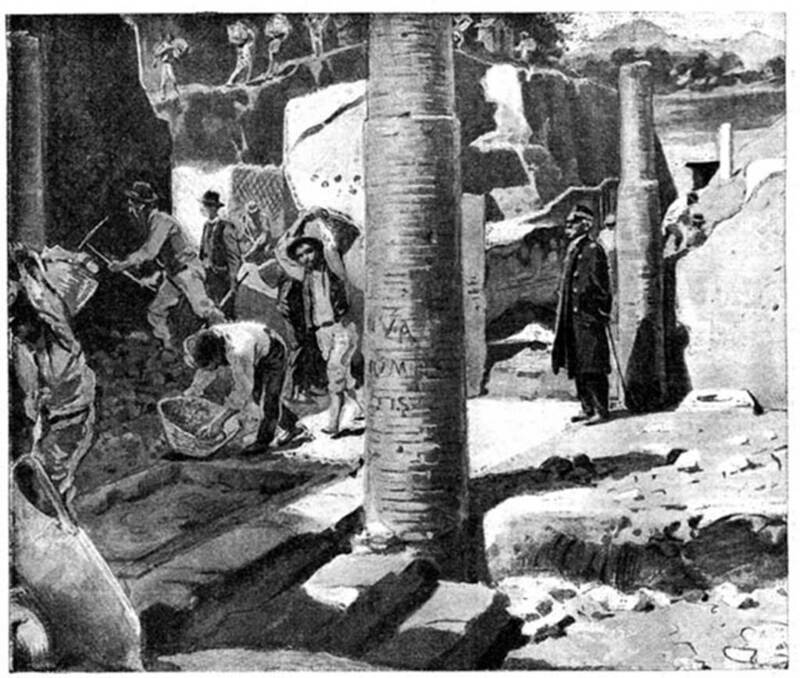 1900 drawing of excavations and room 24. Published in the Illustrated London News, December 22nd, 1900. Villa of P. Fannius Synistor at Boscoreale. 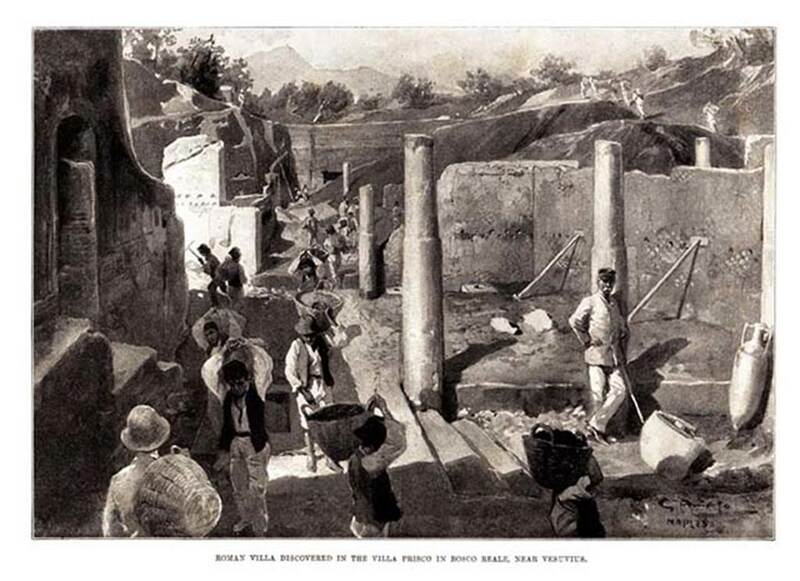 1901 drawing of the excavations and room 24. Published in Illustrazione Popolare - Giornale per le Famiglie, vol XXXVIII, 17th March 1901, p. 164. Villa of P. Fannius Synistor at Boscoreale. Room 24. Room of the press. 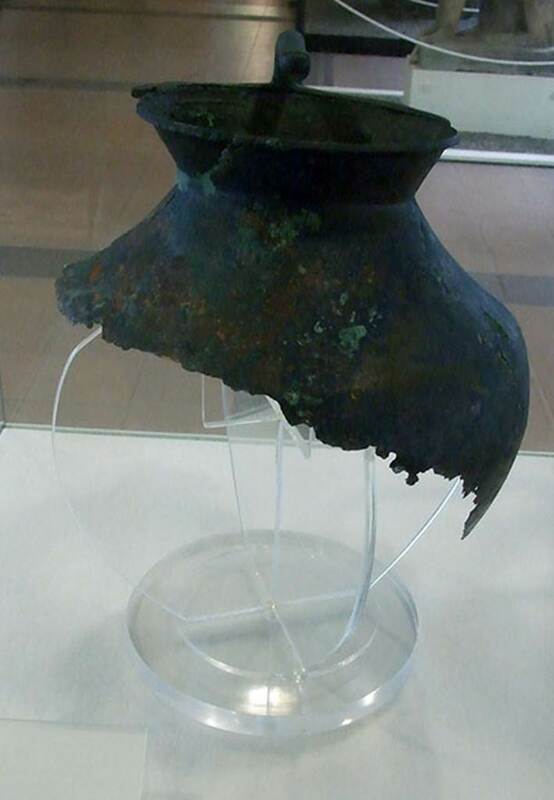 Remains of bronze measuring vessel, with inscription on rim bearing the name of an owner of the house. P(ubli) Fanni Synistoris s(extarios) XXIIII. Next to the name of Publius Fannio Sinistore is the indication of the capacity or measure of the vessel. The inscription gives a measure of 24 sestarii [about 13 litres]. See Barnabei F., 1901. La villa pompeiana di P. Fannio Sinistore. Roma: Accademia dei Lincei. p.19, fig. 3. Remains of bronze vase with inscription on rim. Now in Boscoreale Antiquarium. Inventory number 16994. 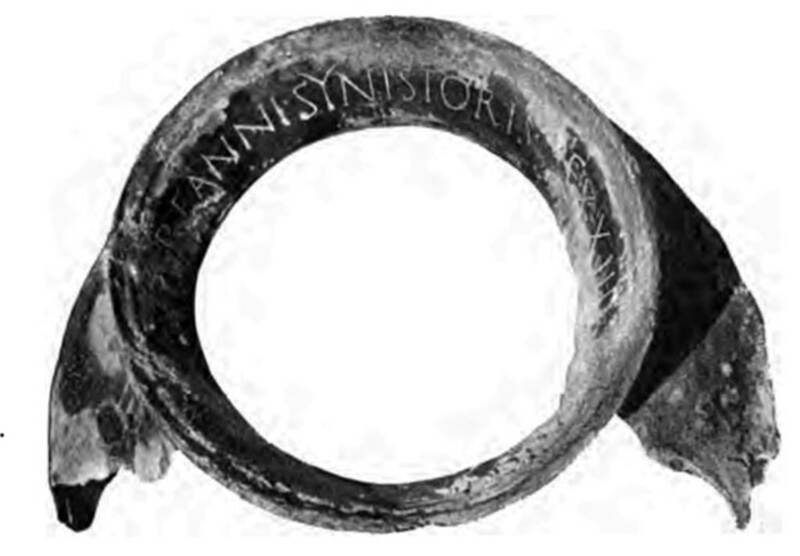 Remains of handle of bronze vase with inscription on rim. The card with the exhibit describes the handle as decorated with lotus flowers and silver climbers. Villa of P. Fannius Synistor at Boscoreale. 1930. Bronze seal and stamp engraved L. HER. FLO. discovered on the 15th January 1901. According to Milne, this stamp was discovered in the house, later than the bronze vase. It is hence more trustworthy evidence for the owner's name than the vase. It was noted and published by Sambon in 1903. See Milne M, 1930. A Bronze Stamp from Boscoreale. The Metropolitan Museum of Art Bulletin 09. p. 188-190. See Sambon A, 1903. Les Fresques de Boscoreale. Paris and Naples: Canessa. p. 2. In the later times the villa was perhaps in the ownership of L. Herius Florus or L. Herennius Florus, whose seal was found in the house. According to De Petra, the seal was discovered on the 15th January 1901 and gives the name L. Herio Floro. See Rendiconto delle Tornate e dei Lavori dell'accademia di Archeologia, Lettere e Belle Arti, Vol. XV, 1901, p. 40. According to Della Corte, the seal gives the name of the possessor of the villa in the last days of Pompeii as L. Herius Florus. See Della Corte, M., 1965. Case ed Abitanti di Pompei. Napoli: Fausto Fiorentino, no. 968, p. 430. 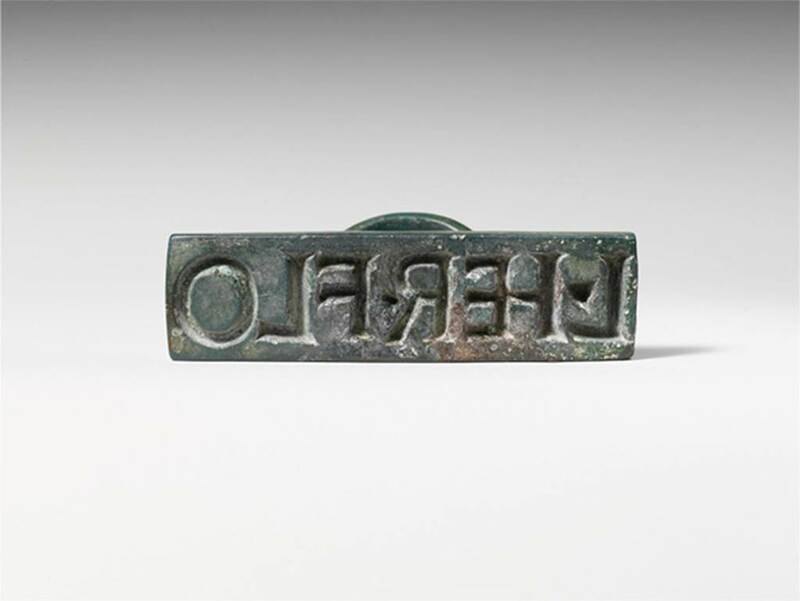 According to the Metropolitan Museum New York, the stamp was presumably his property and likely served as the official seal of the household used to mark provisions. Photo © The Metropolitan Museum of Art, Fletcher Fund 1930. According to Sambon, it shows Lucius Herennius Florus, the name that the Metropolitan Museum also uses. See Sambon, A., 1903. Les fresques de Boscoreale, Paris-Naples, p. 2. Villa of P. Fannius Synistor at Boscoreale. Bronze seal and stamp engraved L. HER. FLO. 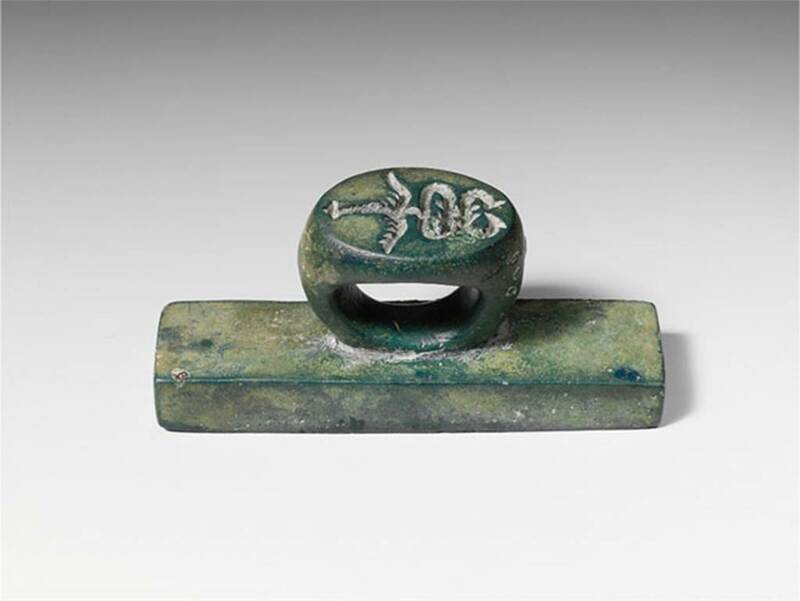 According to the Metropolitan Museum New York, on the ring in intaglio (carved) is a second seal in the form of a winged caduceus, the staff of Mercury, god of commerce. 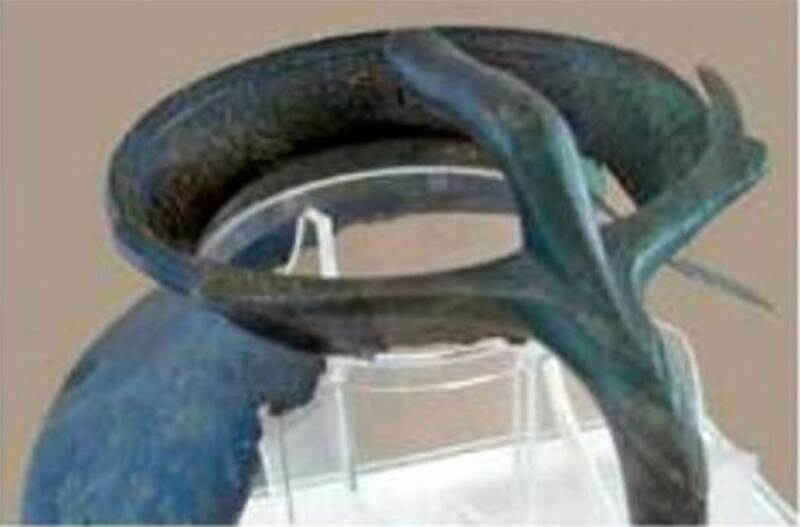 Many such bronze seals have been found in the excavations at the nearby towns of Pompeii and Herculaneum, although stamps with intaglio on both ring and plate are less common.